Trinseo (NYSE: TSE), the global materials company and manufacturer of plastics, latex and rubber, announced today that June 17 marks the company's 5th anniversary since its carve out from The Dow Chemical Company and purchase by Bain Capital Partners in 2010. Today, Trinseo's products continue to be an integral part of the world's automotive market, consumer electronics business, medical applications, and much more. Since its formation, the Company continues to grow, now serving 27 countries, engaging 2,100 employees, and operating 19 manufacturing locations worldwide. "When I think back to where we started in June 2010, we had existing businesses and strong customer relationships, but we had a lot of work to do in order to align our businesses and build an independent company with its own identity and culture," said Chris Pappas, president and CEO, Trinseo. "I believe this transformation is the real milestone of Trinseo, thanks to the continuation of the work and the effort of over 2,100 employees to build this great company. It's been an exciting past five years, and it means a tremendous amount to me to be able to celebrate these accomplishments with all of our employees." "Trinseo's commitment to technology innovation to support our customers and market trends can be seen in our projects underway, including bringing to market advanced polycarbonate-based compounds for lightweighting in automotive interiors and exteriors; new grades of high performance rubber for better fuel efficiency, rolling resistance, and wet grip; and latex expansion in China for its growing paper market," continued Pappas. 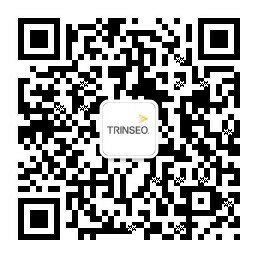 To commemorate the company's 5th anniversary, Trinseo has released a celebratory logo to be used in conjunction with the standard company logo throughout the year. "As we celebrate these past five years, we've also taken the time to look ahead to the future. In fact, our five year anniversary also marks our one year anniversary as a public company. Our continued focus on innovation across our markets will drive value for our shareholders over time, and we're looking forward to what’s ahead," added Pappas.